Are any of you looking for a spelling and vocabulary program to use for homeschooling? Perhaps you should try Vocabulary Spelling City. For just $29.99 a family can register up to 5 students with their Premium Membership and create or use all the spelling lists you will need. With the Premium Membership you can have individual student logins, premium learning activities, and no advertisements. Below is a comparison of basic vs. premium membership. If you are interested, but not sure, take some time and sign up for a free account and try it out for awhile. I think my neighbors will like it! It is extremely easy to create your own word lists. I created one with Bile doctrine words. I was also able to use my own definition of the words, so they lined up with the rest of the lesson. So you will be able to create lists for any lesson, History, Geography, even Math. Since my daughter has been begging for some spelling bees, I have some ideas for using this program. This is one of those programs that I will be making use of in the upcoming year. 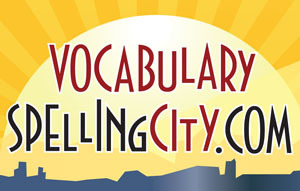 Be sure to click on the banner below to see what other Crew Members think of Vocabulary Spelling City. My 10 year old daughter and son 6 both really enjoy this site. They have worked all summer on many of the games for spelling and vocabulary practice. I also shared lists with several friends. It is a wonderful site for bringing technology into learning.